Discussion in 'Triumph General Discussion' started by chiari1, Feb 7, 2019. I'm not keen. Looks a bit XJR1200ish to me. Some nice features on the bike mind. BTW I think I'm right in saying there's around a grand of extras in that pic-stock cans are black and that looks like an after market seat. So that particular bike probably weighs in at around 11.5k.
" The Missing Link "
Its the bike Triumph should have built in the seventies in answer to the Japs. Bum, the link don't work properly. And in mitigation, you can get a red one. Looks like they got it right with the power and handling. It looks more modern than classic but I think I like it. Must test ride one but could be my next motorcycle possibly. I like it too! the only thing that I would have to address right now, is that rear end. Nothing a quick snip and cut wouldn't fix. 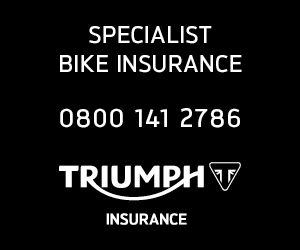 It's a real shame because i really like it BUT i am not buying any new triumph because of the cost of servicing. Had a sit on one tonight, nice, comfy! I'd wait for an R version, its a prime candidate for an R badge. The metal effect mudguards are metal! 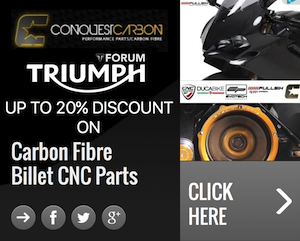 Nice one Triumph. Saw the new scrambler 1200 too but didnt look twice at it, dont like the 21 inch front. Is it physically bigger than the thruxton Andy? I love the look of the thruxton but for me it would have to be quite a bit bigger..OR if I were to loose about 4 stone then it might feel bigger!! Sissy Bar For A Speed Twin?